The Ibanez GRGM21M GRG Mikro is the mini or 3/4 version of Ibanez’s most popular guitar the RG. It is produced in the GIO series which is basically just Ibanez’s budget model line, kind of like Fender’s Squier models or Gibson’s Epiphone brand (GIO appears on the headstock above the standard Ibanez logo). I would associate this body style with more hard rock and metal type music and a heavier sound, so that might be a consideration if you are looking for a guitar for a kid who is into heavier style music. In my opinion this is the only mini electric (3/4 size) or short scale model that that gives the Squier Mini Strat a run for its money. I wouldn’t buy the Mikro for kids any older than around ages 10 or 11 (unless it is going to be used as a travel guitar), but it is definitely worth looking at for kids ages 6 to 10. 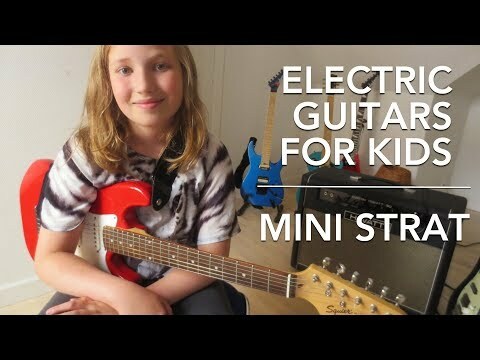 There aren’t a lot of mini guitars that work well for kids that come from reputable brands, but this is a good second option if you don’t like the style of the Mini Strat. 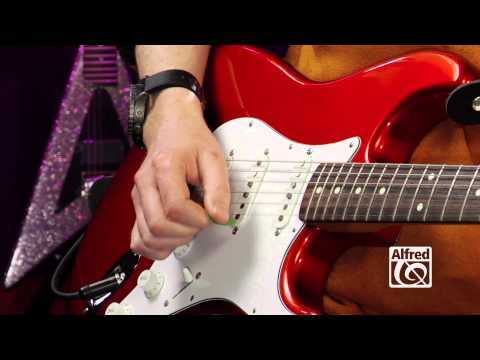 The Mikro is generally a bit more expensive than the Mini Strat, but not wildly so. If you are looking for a left handed electric mini guitar this one does come in left handed version, while the Mini Strat does not. As I mentioned above, the Mikro is the budget version of Ibanez RG body, so it has the nice looking pointed double cutaways. Some players like this style because it gives better access to the upper frets, but that isn’t a huge concern for kids. This style is also known for its thin neck, which is a great feature to have on an instrument for a small child. Obviously for kids style is an important consideration, this is a pretty stylish model, but it isn’t for everyone so check what style your kid likes best. (My six year old LOVES the style of a red Flying V because that looks to him the most like what a rock star would play so that is what he wants, sadly you can’t seem to get the Maestro by Gibson Short Scale Mini Flying V’s anymore which would have been perfect for him). It comes in a few different colors: Black Night, White, Jewel Blue, Metallic Purple, and Red. The size and the thin neck make this an easy and fun instrument to play. The maple neck has low tension which is easier for kids to press down on the strings. If you are lucky it should come with good intonation and playable right out of the box (or with minor adjustments). Despite its light weight, the body is pretty solid so it is easy for kids to hold but sturdy enough to withstand some of the rougher treatment that a kids might put it through. One of the unique features of the Mikro is the dual humbuckers pickups. I like these a lot, they work really well and respond well to the volume knob. It also has a 3-way switch (neck only, both pickups, bridge only) that lets you gets decent variation in tone and sound. Since it is a short scale model you might run into issues with tuning that will generally be solved by switching out the strings with a heavier gauge. The sound on the Mikro is a little heavier than the Mini Strat, mostly because it has those double humbucker pickups, and no single coil pickups. Nothing much to complain about with the hardware on the Mikro, everything is pretty solid. One of the main complaints with inexpensive guitars is often the quality of the tuners; however the tuners on the Mikro are actually fairly decent. Of the Mikros that I have looked at there are not really any flaws, and the necks have all been straight. Also I haven’t seen any sharp fret ends that can be a common problem on budget guitars. The fit and finish are professional quality. Tuning can be a bit of an issue with a lot of short-scale models, but in most cases this issue can be resolved with new strings. If your child likes the style of the Mikro over the Mini Strat I would say go for it, since getting the right color and style are pretty huge when buying a guitar for a kids in the 5 to 10 age range especially when trying to keep them interested and motivated to learn. This is a very solid guitar for the money, and is a nice fit and size for children.